The structure of the frame is shaped so that it gives a remarkable ambience to the floor lamp Marvin. 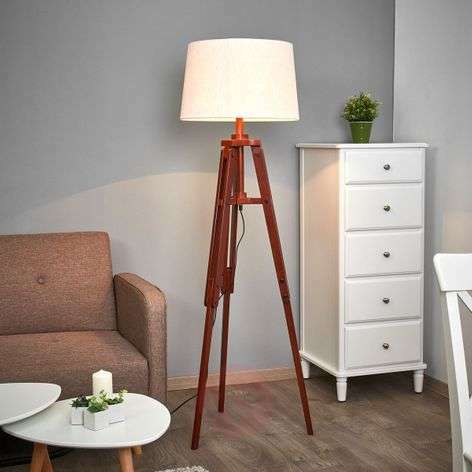 The wooden frame looks just like a tripod, and, due to its robust rustic appearance, fits in well with nautical and rustic styles of living spaces. 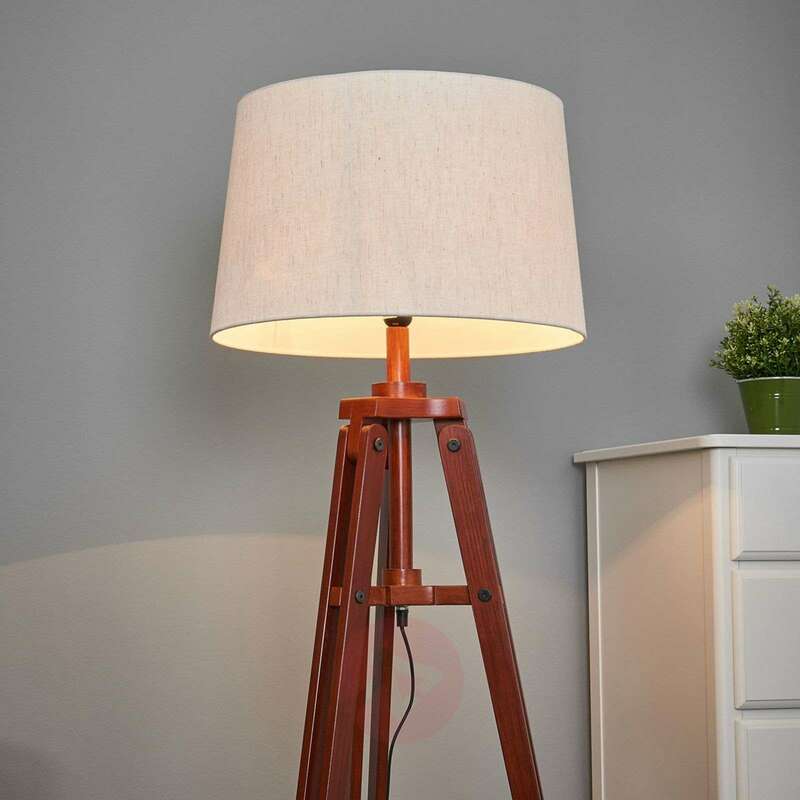 The lampshade has a classic shape and colour, and so gently disperses the light from the light bulb, and also ensures that it is emitted to the surroundings without any glare. 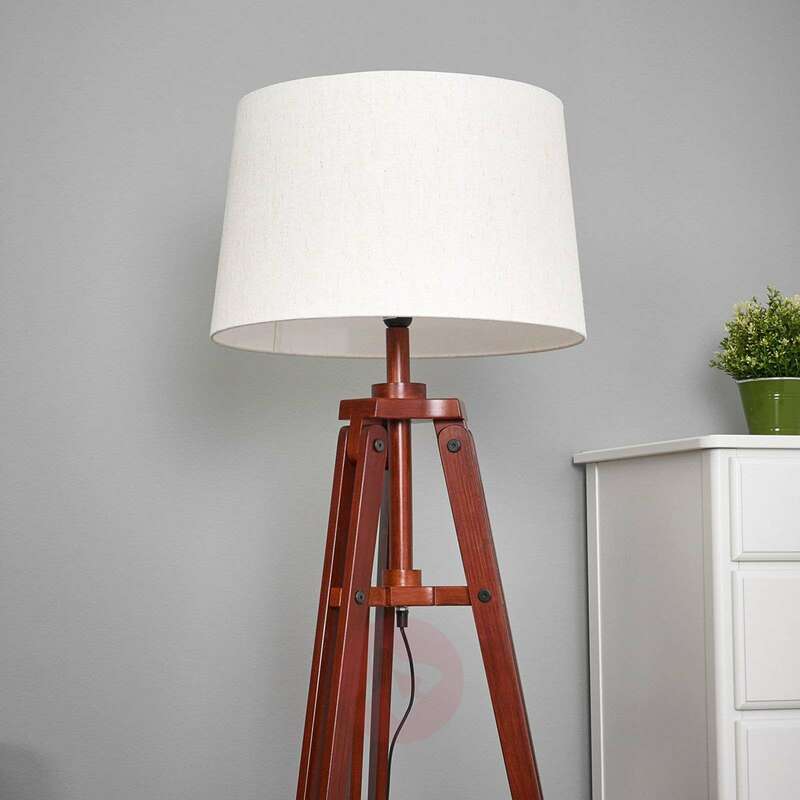 The lampshade is made of jute, a natural material, so there may be a slight colour variation.